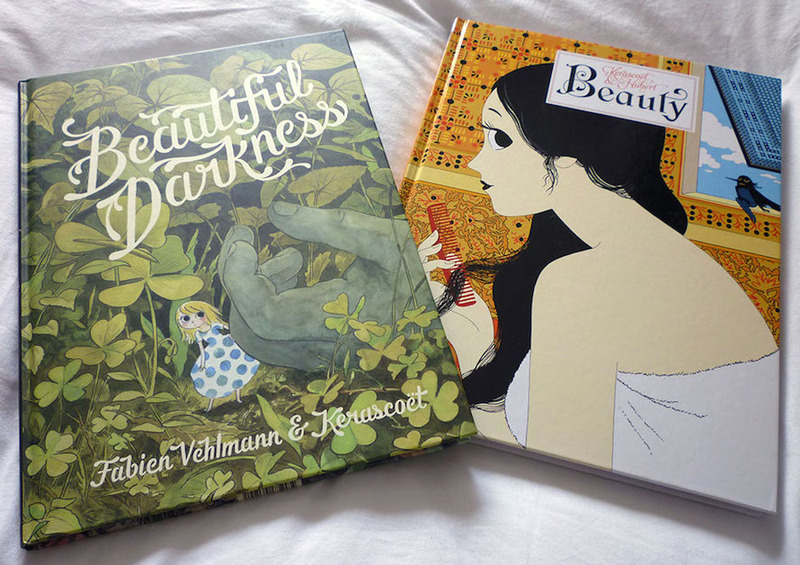 Beautiful Darkness, written by Fabien Vehlmann and published in hardback by Drawn & Quarterly in February 2014 (the copy seen here is a first impression; the book has since reprinted), and Beauty, written – and coloured – by Hubert and published by NBM in October 2014 (both books translated from French editions). 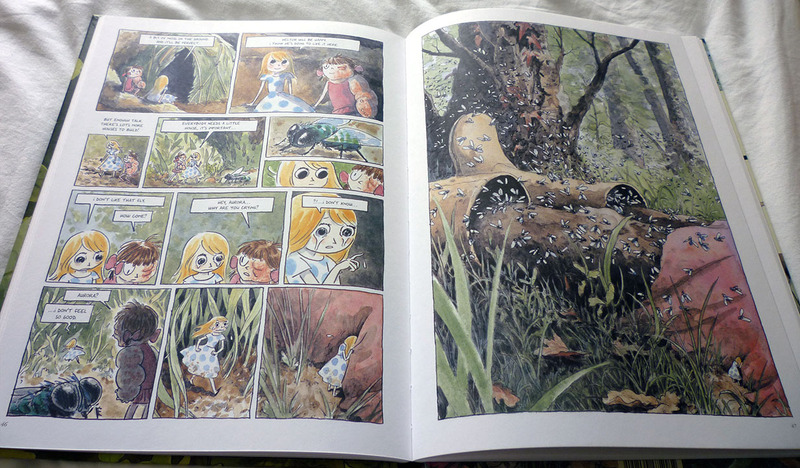 Wait, is Beautiful Darkness my new favorite graphic novel of all time?... I finished reading Drawn & Quarterly's edition of this glorious French comic from watercolor painter Kerascoët and writer Fabien Vehlmann a few weeks back, but not a day has gone by since then that I haven't thought about the book. I guess you could call the story a kind of fairy tale about human nature, but it's WAY more harrowing than that, as evidenced by an early image that's probably the most powerful and affecting splash page in the history of the medium. Truly, I dare you to pick it up and disagree with me. There's not much I can add to that, except to suggest that good as Beautiful Darkness is, I actually think Beauty is the richer, more rewarding read. 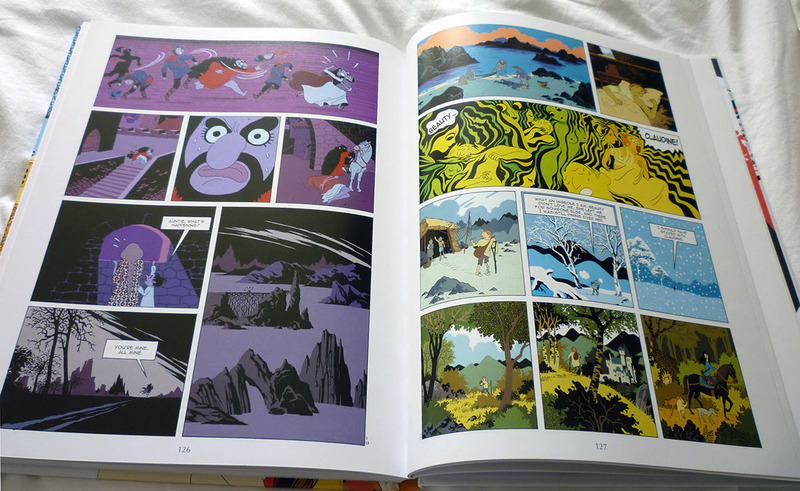 Beauty also features in Mozzocco's 'best of', but at number 12 (of 13) in the list, as opposed to Beautiful Darkness, which nabbed the number 2 spot; whereas for me it's right up there with the graphic novel which topped Mozzocco's chart, Michael DeForge's Ant Colony. 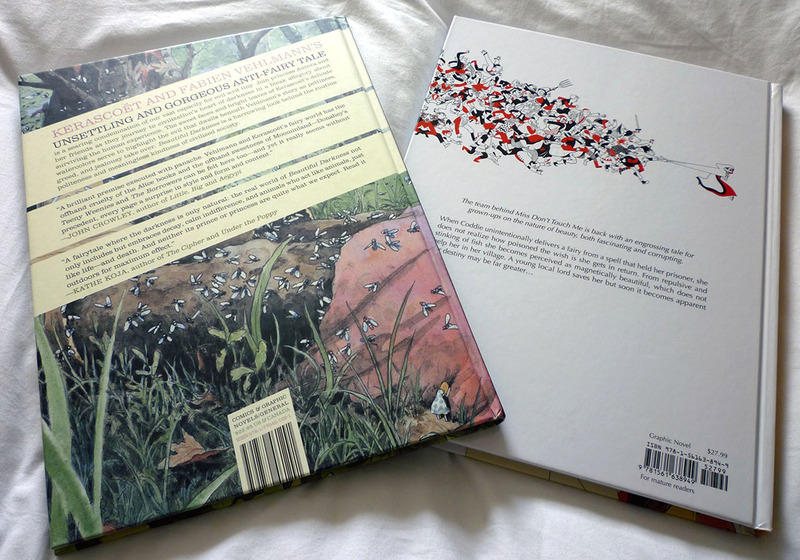 I found Beauty just as arresting as Beautiful Darkness, but in a less showy way – perhaps a consequence of the simpler lines, flatter colours and densely panelled pages. But there's also, I think, more depth to the thing, and not merely because of the greater extent (150 pages as opposed to Beautiful Darkness's 100). The story of a peasant girl who gets more than she bargained for when she's granted exceptional beauty, and set against a backdrop of grandeur, squalor and the changing seasons, the narrative shows how man's basest desires cause wars to be fought and kingdoms to fall. So it goes. I've read Beautiful Darkness and I think it's a pretty good graphic novel. At times, when I really visualize some of the incidents, it makes me shiver.